If you know about Duke University beyond athletics, you know that it's a great educational institution. You know that it's a great research institution. But you may not know it as a place that's phenomenal at getting its ideas out into the real world—there's no reason that those three things shouldn't all be aligned." These are the sentiments that Bill Walker and Steven McClelland shared with me about the trajectory of Pratt during the years to come. Both Duke Engineering alumni with vast experiences in tech and engineering startups, Walker and McClelland have since returned to Duke with the primary goal of making Pratt a hub for innovation and entrepreneurial ventures in higher education. McClelland, a member of the Duke Class of '95, found himself in the startup scene not long after graduation. After starting a company in Boston, McClelland left for the West Coast to begin another company in San Francisco, which eventually sold to Yahoo!. He then worked at Twitter, and from there, came back to Durham to work at Duke and change how the university approaches entrepreneurship in engineering. Walker, an undergraduate and PhD graduate in biomedical engineering, was shaped by his early experiences in innovation. "I started to invent things and found out pretty quickly that industry didn't care—there was no real way to get it out to the marketplace," said Walker. "If I wanted my inventions out in the world, I was the guy that was going to have to make that happen." With that mindset, Walker worked his way into the startup field, and during his career, joined the University of Virginia and helped develop their biomedical engineering program while founding two companies. He left UVA to run HemoSonics, a diagnostics company focused on determining the causes of critical bleeding, and from there returned to Duke, where he now serves as the Mattson Family Director of Entrepreneurial Ventures. With their combined experience in entrepreneurship, Walker and McClelland hope to make Duke a place that fosters a culture of innovation, while also providing students with an understanding of how to make their ideas and products marketable. The duo have a wealth of experience after dealing with difficulties in translating some of their early ideas to the marketplace. "Back in 1995, I was trying to build highend electric cars and virtual reality goggles. It was only 25 years too early," recalled McClelland. However, Walker's and McClelland's initial struggles gave them the learning experience necessary to know how to build successful companies and products. "I have a lot of scars, and I remember where I got them all," continued Walker. 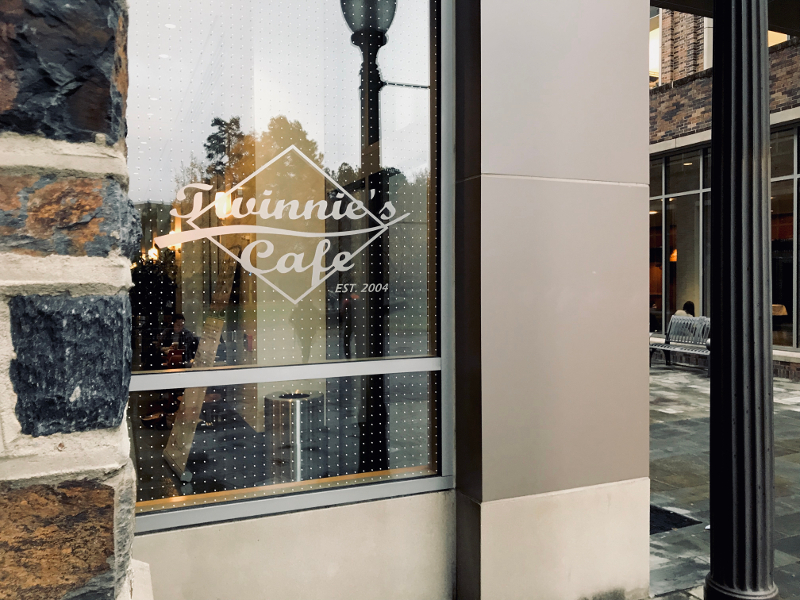 McClelland says that Duke is a very social place, thriving from its interdisciplinary nature and diverse community, but that he thinks the university can do a better job of translating that social nature into collaboration for entrepreneurship. "To build a company, you don't want just all computer scientists, or all engineers, or all policy, or all marketing. You won't get very far," said McClelland, adding that part of Duke's appeal is its wide variety of talented people from various fields, and that one of his goals is to build better teamwork between those sectors. "I have a lot of scars, and I remember where I got them all." Walker and McClelland also keep an eye on the state of the technology and engineering industries, and note how the relationship between big companies and startups can produce innovation leading to products and revenues at a rapid pace. "The day that somebody buys your invention for millions and millions of dollars is long gone," stated Walker. Instead, big companies are looking for promising startups to acquire and integrate into their business model. "When Facebook acquires a company, they're buying a team," said Walker. Companies are always looking externally for fresh ideas coming from innovative teams and people. McClelland added that, "The fastest way to get a high-level position in Google is probably to start your own company and prove that you learn things more rapidly on your own." Talking about the economics of the tech industry, McClelland discussed how startups are more likely to stay private, since there's more opportunity to be made being acquired by a larger company than there is in the public sector for most businesses. "Android changed Google. Instagram, WhatsApp and Oculus changed Facebook," said McClelland, showing the influence that smaller companies can have through acquisition. Business is constantly changing, and learning how to tackle that change as an entrepreneur is something McClelland and Walker hope to bring to Duke. "Part of it is demystifying the path," said McClelland. "No matter how successful or not a company is, you're probably going to learn a lot if you're paying attention. And you're a more qualified individual for whatever you do next." While McClelland and Walker aim to make Duke a better place for innovation and entrepreneurship, they both agree that making college education more "career-oriented" isn't necessarily the way to do it. "This isn't job training," said Walker. "This is preparation for a career, and we don't know what that career will be." Walker's point hints at the ever-changing state of business and technology that can be so difficult to predict. Reminiscing on their own college experiences, McClelland remarked that, "My freshman engineering computer programming course was Fortran." "Mine was Pascal!" responded Walker, adding another obsolete programming language to the list. A main goal of college education, as Walker recognizes, it to "learn how to learn," so that though certain material may not be applicable in a job setting, the process certainly is. As Walker commented, "The fact that you learned the wrong language, Steve, is secondary to the fact that you learned how to take an abstract idea and express it as a concrete algorithm." College education also prepares graduates for on-the-job learning, as McClelland expressed when speaking about his job in Boston. "At my first startup, my co-founders all had computer science degrees from MIT, and they made fun of my programming which made me better. It felt like I got a second education in computer science, and that was great for me!" McClelland and Walker closed with a few words of advice for hopeful innovators and entrepreneurs. Walker encourages the students he works with not to let a fear of failure keep them from starting a company. "If you think you want to do a startup, do a startup. When I sit down in a room full of investors and I say, 'Well, my first company failed,' their ears perk up and they get excited." McClelland responded along the same lines, saying, "There's no penalty to apply to Google in two years and say, 'I ran a startup into the ground.'" As much as they want students to succeed, Mc- Clelland and Walker agree that failure is a learning experience, especially when it comes to running a company. And when it comes to entrepreneurship, finding an opportunity for a business or product to thrive is everything. As Walker put it, "Don't play to win the hardest game. Find a game that you can win."